A podcast about academia, culture, and social justice across the STEM/humanities divide. Co-hosted by Liz Wayne & Xine Yao. New releases weekly. 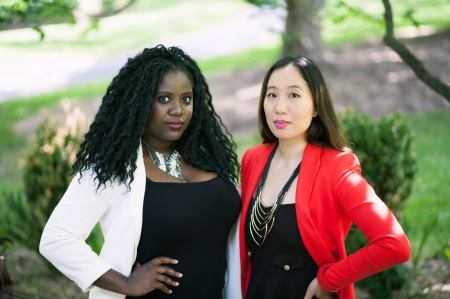 Liz Wayne and Christine “Xine” Yao cohost PhDivas, a podcast about academia, culture, and social justice across the STEM/humanities divide. An engaging conversation between friends and scholars, PhDivas fills a niche for witty and insightful discussion and proves that PhDs in Engineering and English literature have more in common than meets the eye. Past topics include teaching as women of color, mourning and leaves of absence during school, graduate student unionization, different forms of evidence in the sciences vs. the humanities, and Black/Asian crosscultural influences. Previous guests include the science policy adviser to the British embassy, the first trans writer for LGBT BuzzFeed, and many other brilliant women in a wide variety of fields at different stages of their academic and alt-ac careers. At over 50 episodes, PhDivas garnered a wide audience with a listenership from over 100 countries and over 40,000 plays. Through this podcast Liz and Xine hope to engage the public about activism and academia in relation to current events and popular culture, to inspire future academics from diverse backgrounds, and to encourage cross-disciplinary dialogue within and outside the academy. Photography by Michelle Tong. Production help by Dexter Thomas. Theme music by Rebecca Saltzman.